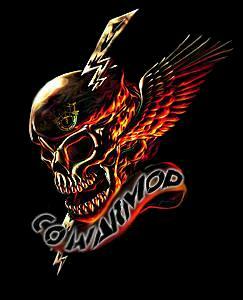 COWarMod is a massive Customizable Compilation Mod of 223 Addons, Mods, & Tweaks built for Arma2CO over a period of 6 months for the WarMod series that will add many gameplay features, fixes, effects, and AI enhancements to your game. This version of COWarMod has been made compatible with the mod I44 or Invasion 1944 an Arma2CO WW2 mod this means that I took COWarMod v 1.1 and removed all files that would conflict or have no effect ingame such mods are mods dealing with gameplay features that effect only modern warfare. not applicable and would break the realism, or the context of what the I44 mod is about, namely WW2. Other mods and such simply dont work because I44 files overwrite them so its not possible to use them at all, they simply dont work. stealthy close quarter approaches providing he can remain unseen. All Round Defence (ARD) a formation typically used by the British Army (and other fighting forces) after a firefight to 're-org' the squad, making sure everyone has ammunition, tending any wounds. can also be used defensively, providing 360 degree coverage. Easier reading of the map at close zoom, including determining the rise and fall of the land determining altitude. With a ruler, compass and line drawing tools you now can more easily triangulate your position and plot polar fire missions as well as guage distance to targets while doing forward observation. Both COWarMod & I44 is for Arma2CO (Arma2 Combined Ops, Arma2OA) not Arma2.